The stripped-down stompbox is the first in the company's recently-announced R series of pedals. 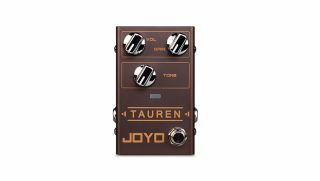 Joyo has announced the R-01 Tauren overdrive, the first in its new R series of pedals. The new pedal is being offered at the extremely affordable price of $54.99. For more info on the pedal, head on over to joyoaudio.com.